Christie Zervos is an integral member of Caveon’s leadership team, having served as Director of Operations since 2003. Her main duties include managing and supervising the Web Patrol team. In this capacity, Christie demonstrates an unwavering dedication to clients, ensuring that they quickly detect breaches of clients’ intellectual property, and provide swift resolution in order to mitigate any potential damage to clients’ items, tests, and reputations. Since Caveon’s inception, Christie has nurtured and grown the Web Patrol service within Caveon, fulfilling contracts for more than 25 clients, including many large, international, high-stakes testing programs from the K-12 education, universities, admissions, certification and licensure, and other areas. Her and her team’s sterling reputation is a testament to the value the service delivers, as clients renew their service subscriptions year after year. Christie Zervos has been an advocate of quality testing since she entered the assessment industry in 1992. 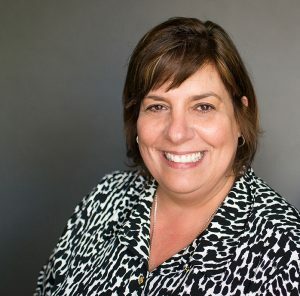 Christie’s passion for ensuring that tests are administered fairly and securely began prior to becoming a founding member of Caveon, when she directed and managed all aspects of practical testing development within VMware. Christie then held numerous leadership positions within Novell’s Certification Group, including oversight of all test development operations. Other responsibilities included the promotion of Novell’s certification program, where she project managed the creation scenarios for Novell hands-on practicum exams, technical reviews, test editing and test handoff. In addition, her activities and duties at Novell included the start-up of Novell’s Technical Institute the creation, design, and development of an internal learning resource center for Novell employees, and the establishment and management of an onsite testing center from 0 to 13 worldwide. Christie earned her Bachelor of Science degree at the University of Utah.